This article is about the baseball announcer. For the University of Arkansas baseball coach, see Dave van Horn. Dave Van Horne (born August 25, 1939 in Easton, Pennsylvania) is a Major League Baseball announcer. Van Horne has been the lead play-by-play announcer for the Miami Marlins Radio Network since 2001; prior to that, he spent 32 years of his broadcasting career with the Montreal Expos, 14 of those years partnered with Hall of Famer Duke Snider. After graduating from Wilson Borough High School in 1957, Van Horne entered the drama department at the Richmond Professional Institute in Richmond, Virginia. While at the school he began hosting a Top 40 program at a local radio station, which led to his dropping out of school and starting a full-time broadcasting career in Roanoke, where he began calling high school football and basketball. This led in turn to Van Horne calling baseball for the Richmond Braves, the Class AAA affiliate of the Atlanta Braves, beginning in 1966. He was hired by the Expos for their inaugural season in 1969. Van Horne is well known for his "El Presidente, El Perfecto!" call, made when Montreal Expos pitcher Dennis Martínez completed his perfect game against the Los Angeles Dodgers on July 28, 1991. With the Expos, his sign-in phrase "Thanks Duke and hi again, everybody. Glad to have you aboard for today's game...", and home run call "up, up and away" projected his enthusiasm and excitement. In 2000, as the Expos had not secured an English radio or television contract, Van Horne broadcast the season over the Internet. With the Expos broadcast situation still unsettled for the 2001 season, Van Horne left at the end of 2000 to broadcast for the Marlins. Coincidentally enough, Van Horne broadcast the last Expos home game in Montreal from the Marlins' broadcast booth on September 29, 2004—a 9–1 win for Florida. Van Horne was named the 1996 recipient of the Jack Graney Award by the Canadian Baseball Hall of Fame for "A lifetime of media achievement",. He was inducted into the Canadian Baseball Hall of Fame on June 21, 2014, along with former Montreal Expos general manager Murray Cook and third baseman Tim Wallach. 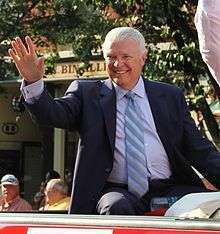 Van Horne is the 2011 recipient of the Ford C. Frick Award from the National Baseball Hall of Fame. He received the award on July 23, 2011 in Cooperstown, New York. ↑ Canadian Baseball News (2000-04-18). "under EXPOSed". Retrieved 2010-12-23. ↑ "HOF Weekend 2011". National Baseball Hall of Fame. 2011. Archived from the original on 2011-07-22. Retrieved 2011-07-22.